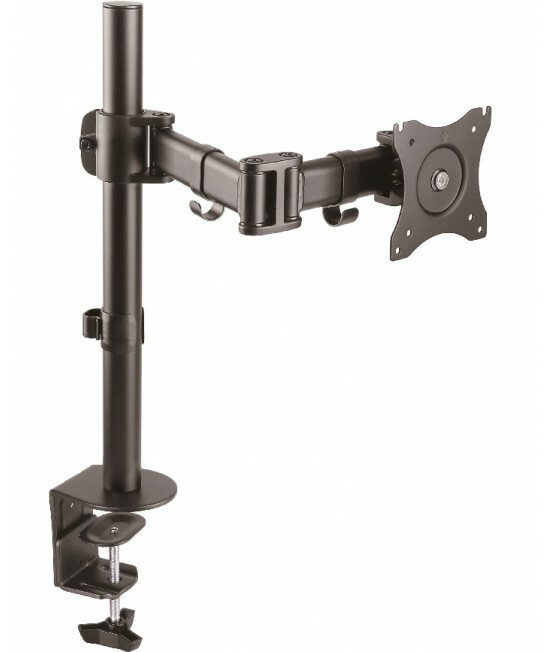 ﻿﻿ Dual Mechanical Spring Fully Adjustable LCD Monitor Desk Mount Stand up to 32"
Dual Mechanical Spring Fully Adjustable LCD Monitor Desk Mount Stand up to 32"
Full Articulation – Adjustable arm offers 180° tilt, 180° swivel, 360° rotation. Heavy-duty and sleek design with use of premium grade Aluminum and Steel materials. Each arm has 17.6 Lbs weight capacity. More Information word here More Information word here More Information word here.